My five favorite things which made having a new baby just a little easier! I highly recommend a monitor which does both audio and video. I received the Infant Optics monitor off my baby registry and have been very happy with it. At around fourteen months, the sound microphone in the camera piece stopped working. Although we were past the 1-year warranty period, my husband contacted the company. They provided us with some trouble shooting options and then requested we ship back the camera. We paid around $10 to send the camera back, assuming they might fix or replace it, and as soon as they received the camera they sent us a brand new one. For customer service, I'd give them an A+. We have a second camera which will work with the same receiver for after baby #2 is born. Why video? 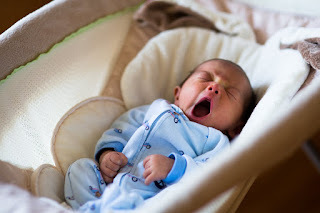 If you plan for your baby to sleep in a crib in their own room and/or want to do any type of sleep training - video is a lifesaver! I love being able to see my son in his crib. When we first moved him in there, I was concerned about waking up to breastfeed during the night. It was great to be able to see him and evaluate if he was awake and ready for a feeding or just shifting around. 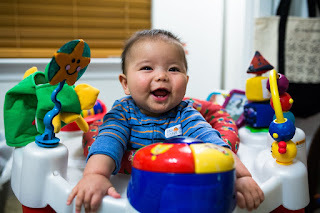 As he got older and we were first sleep training for naps and bedtime, it was so helpful to see what he was doing to evaluate if he really needed attention or was just still settling in. Then again later, when he started standing up in his crib, I could see if it looked like he would lay back down or if he had started gnawing on the crib rail! There are many different brands of video monitors and also ways to set up a cell phone or tablet to work as a camera and a receiver. I'd recommend a system which has a movable camera so you can pan it around the room, this is also helpful if your toddler is playing in their room and you need to say go switch around the laundry and your little one is prone to getting into trouble. Our camera can pan to see the whole room but just sits on a hook on the wall. It can be easily removed and we've taken it on vacation or just to a friend's house if our son was going to be napping there. Our camera also gives a temperature (which we find to not be very accurate) and allows you to talk into the monitor (which is a feature we have never used). It's in color if the room is bright and black and white if the room is dim or dark. I found there was no quicker way to lull my son to sleep than to put him in a carrier. I had great aspirations about baby wearing when I was pregnant. I registered for (and received!) the Moby Wrap. I pinned a bunch of videos showing different ways to wrap babies, including newborns. But when it came to actually using the wrap, I found it to be very difficult. There is a lot of fabric to be wound around and I always felt like my son was not properly supported, likely due to my user error! There are a lot of people who love wraps. I've seen them on moms in the mall, at the grocery store, etc. If you aspire to use a wrap, do not take my experience as a deterrent! We received a hand me down Baby Bjorn Original Carrier. 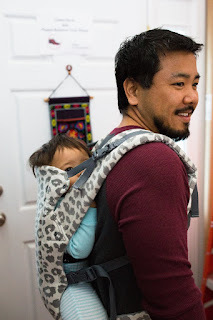 This carrier was great when my son was small. The minimum weight recommendation is 8 pounds and I believe we started using it when he was around 2 weeks old. 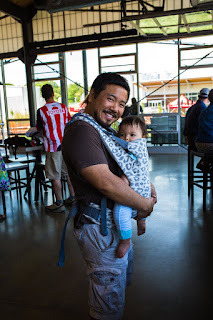 The original Bjorn has a very slender profile, fitting just over your shoulders, and baby's legs hang freely. 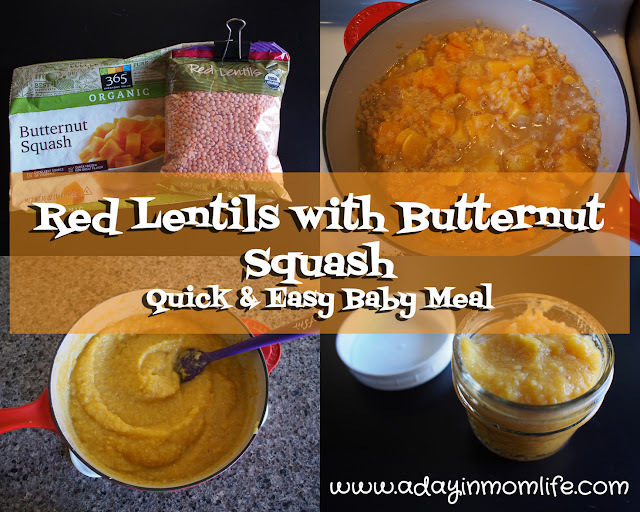 It's easy to get baby in and (more importantly!) easy to get him out. I'd pop my son in this, walk around the house for a few minutes to lull him to sleep, and then transfer him out for his nap. 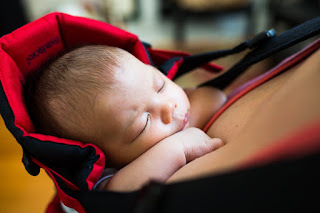 That it is so easy to put on is a real plus if you are going out, it's easy to transfer baby from the carseat into the carrier, just takes one minute! We stopped using the Bjorn for two reasons. 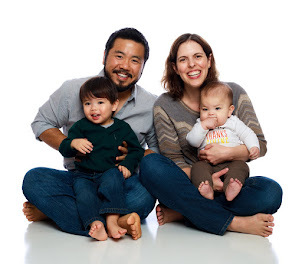 My husband used it longer than I did, but as my son grew heavier, the Bjorn's placement of all baby's weight on my shoulders grew to be too much for me. 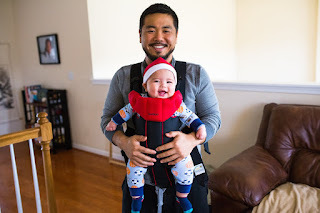 I also read a lot of reviews regarding the hanging leg style and the seated style carriers (see below) are considered more ergonomically correct for baby's hips. Here we are with our Bjorn at one-month old and at six-months old. 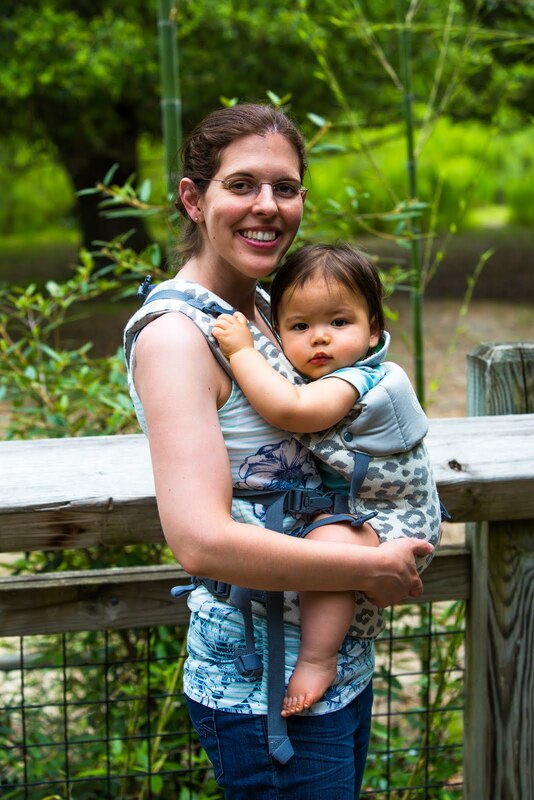 The Beco allows for baby to be worn in front facing in or out, worn on your back, or worn on your hip. It has a very sturdy and well-padded waist belt which supports most of baby's weight. My son is nearly a year old here and around 21 pounds. 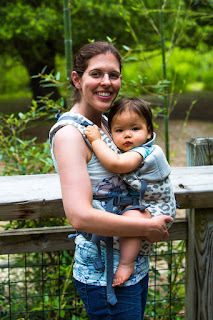 He ate a LOT of breast milk, what can I say... We were at the zoo and he would not sit in his stroller, but was not walking either at this point, so the carrier was a lifesaver. Both the Beco and the Ergo sell separate infant inserts for use with a smaller baby. 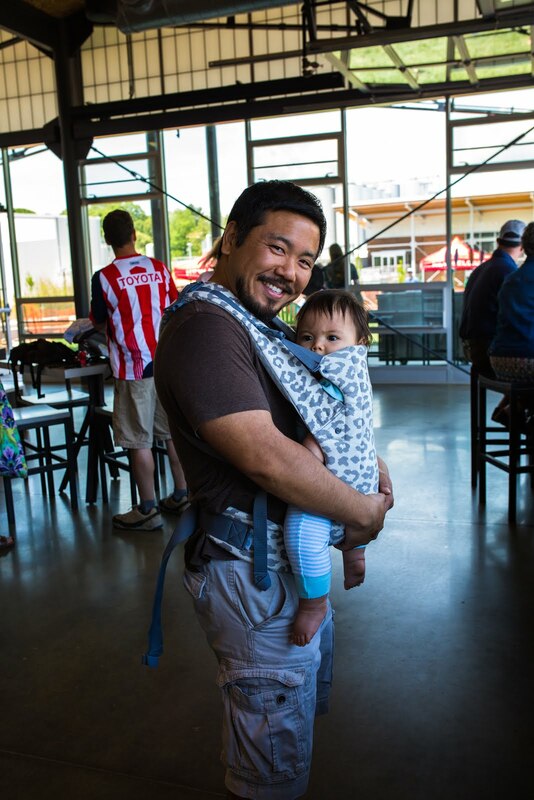 The Beco is significantly larger than the original Bjorn which is appropriate for use at 8 pounds without an insert. The first few months my son napped almost exclusively in his Fisher Price Rock 'n Play. We received a hand me down one and it does not have all the bells and whistles that they come with now. Ours has no sounds and no vibration feature. Still a great product. 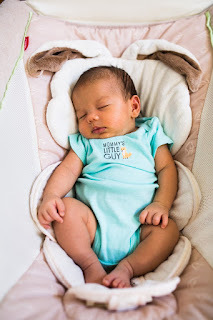 At first I tried to alternate between naps in his bassinet (also a hand me down) and the rock 'n play, but the rock n' play just snuggles the baby in making him feel secure and comfortable. 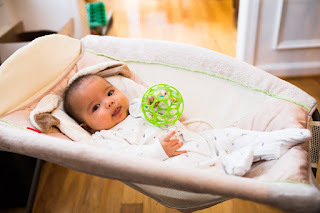 The rock 'n play is very light weight and folds up flat so it is great if you need something you can move from room to room (do not move it with the baby in it!) or take with you. If we were going to a friend's house, we would bring this with so Henry would have a safe place to sit and/or nap. I have heard of people using this as their nighttime crib/bassinet/cosleeper. That never seemed safe to me, my son was always monitored while sitting or napping in the rock 'n play. You'll notice my son was not wearing the safety harness in my pictures though, that was my personal choice, the harness is provided for the baby's safety. 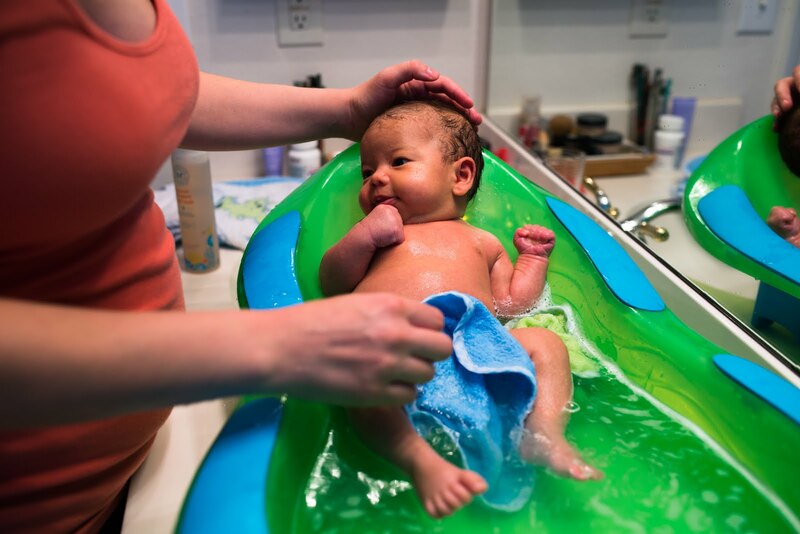 The baby bathtub is essentially a huge piece of plastic and wasn't something I wanted to buy. I was fortunate to get a hand me down tub, but if I had paid for it I would have thought it worth every penny. Most tubs will have a slanted lounging area on one side and a larger sitting area on the other. We used this tub for nearly a year, transitioning to the sitting side at around six months. My husband filled it in our tub and then put it on our bathroom counter top. Having the tub at waist-height was fabulous for my back and made bathing so easy. Plus as Henry grew, he loved to look in the mirror! For a little later, around 4-6 months depending on baby's development rate, an activity saucer or jumper is invaluable to entertain baby while keeping them confined. These items also promote leg activity (turning or jumping) and develop fine motor skills. 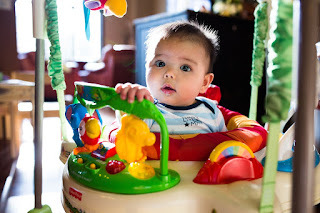 We had a Baby Einstein Saucer which I purchased used for $10. It was much simpler than the ones currently on the market, but our son still loved it. We also received this Fisher Price Rainforest Jumperoo as a hand me down. It doesn't seem to have changed much over the years. My son loved the lights and the animal noises it makes. The jumper can be set to either play music continuously or to only play music when the baby is jumping which was a nice feature. It has a lot of items to spin and I couldn't believe how quickly my son picked up on spinning the wheels or how fast he could spin them! Please comment and share your favorite things!